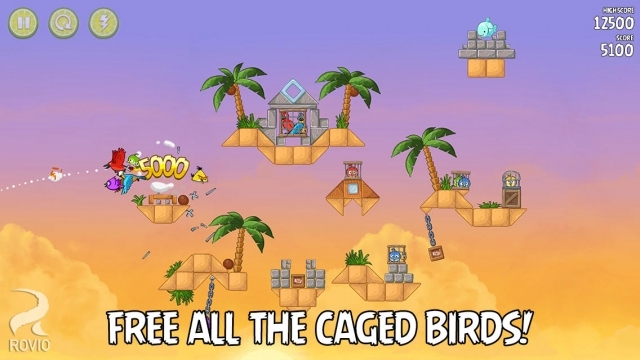 Rovio has made the full Angry Birds Rio game available to download for free and updated it with 26 new levels. FREE FULL GAME – DOWNLOAD NOW! 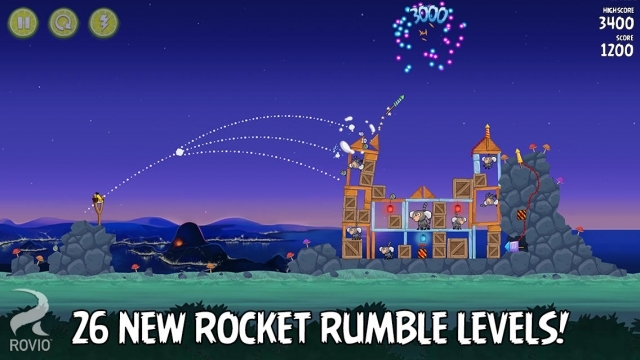 Celebrate the New Year with 26 Rocket Rumble levels! The party’s starting but those mischievous monkeys keep getting in the way! NEW LEVELS! Play 20 amazing new levels and unlock 6 special bonus levels! HELLO STELLA! Stella comes to Angry Birds Rio for the first time and brings her powerful bubble blower! FUN NEW GAMEPLAY! Hit the fuse to set off some bright and blazing fireworks! MEET ROCKET BIRD! 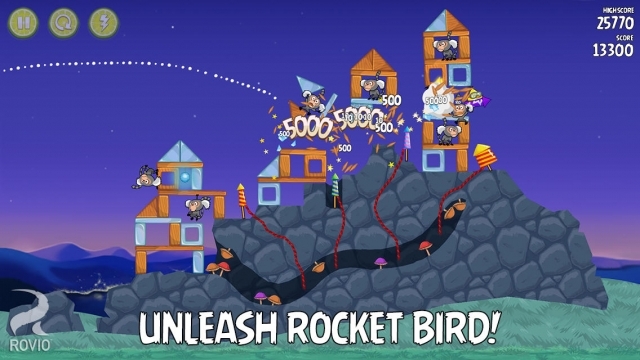 Unleash the explosive Rocket Bird to help out in the bonus levels! You can download Angry Birds Rio from the App Store for free.